Almost all modern computers have built-in sound card. This will allow you to save money on buying separate chips, but will not allow you to enjoy high quality sound. Enable the audio card through the BIOS. To access the BIOS restart your PC and after turning the screen on, press Del or Tab (this information is always indicated on the screen). Now use the buttons "left", "right", "up" and "down" to navigate between the tabs, within the menu. Find the tab Integrated Peripherals or Advanced tabs in the BIOS, highlight the item and press the Enter key. Next, select the AC97 Audio Select (sometimes called Onboard AC'97 Audio, depending on the manufacturer), press Enter and set the value to Enable. Press the Esc key. 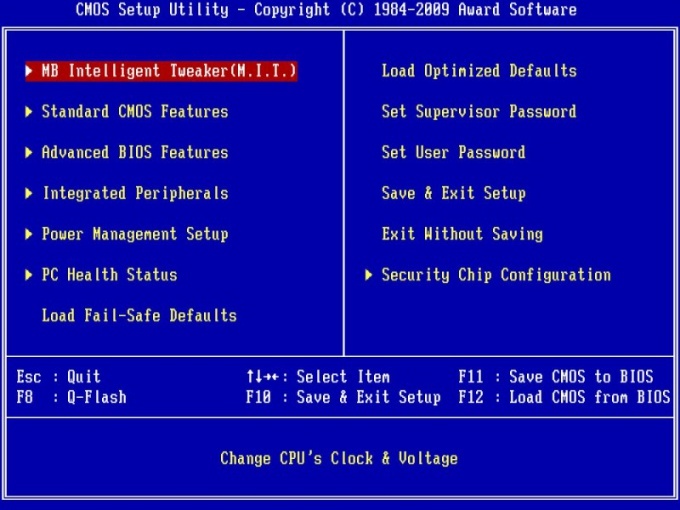 Now find the main BIOS screen a tab Save and exit Setup. Highlight it and press Enter. Confirm saving the changes by pressing Y. the Computer will have to reboot the wealthy. In this case, the integrated sound card will be activated and will work. Enable sound card in Windows operating system. Go to "control Panel" (Control Panel) from the menu "start" (start). In the window that appears, activate by double clicking the left mouse button the icon "System" (System) . In the window with the description of the system, locate the tab "Equipment" (Equipments). Go for it. In the tab click with the left mouse button on the inscription "device Manager" (Device Manager). In the window that appears, find the tab "Sound, video and game controllers" (Audio, Video, and Game Controllers) and click on it with the left mouse button. In the list, select your built-in sound card and double-click the left mouse button. In the new window, under "device usage" (Application Of The Device) change "do not use This device (Disable)" (The Device is not Used (Disabled)) on the "use This device (enabled)" (The Device is Used (Enabled)). Now restart your computer. The sound card is enabled.